Mayor Ed Lee (2019) film poster. Illustration: John Mattos. Design: Studio Hinrichs. 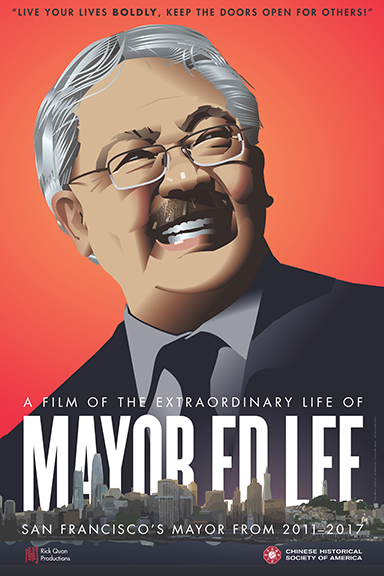 January 25, 2019 — On February 11, 2019, the Chinese Historical Society of America will host the World Premiere of the documentary, “MAYOR ED LEE” at San Francisco’s historic Herbst Theatre (401 Van Ness Avenue). VIP Tickets are $75 which include a pre-film reception and reserved seating. General admission seats are $12.50. Tickets are available on eventbrite.com/e/mayor-ed-lee-film-world-premiere-tickets-54370874750. The hour long documentary tells the inspiring story of Ed Lee’s life: from growing up in Seattle’s public housing, to becoming the first Asian American Mayor of San Francisco, his sudden death and the legacy he leaves behind. The film includes interviews with his family and friends, including former San Francisco Mayors Willie Brown and Art Agnos, Golden State Warriors star Steph Curry, and former Washington Governor Gary Locke. The documentary was written and produced by two time Emmy award winner Rick Quan. The evening begins with a VIP reception at 5 pm in the Herbst Theatre Green Room. Doors open to the general public at 7:15pm. Opening remarks and the World Premiere are scheduled for 8 pm, followed by a question and answer session moderated by veteran journalist Ben Fong-Torres. The Chinese Historical Society of America is the oldest organization in the country dedicated to the interpretation, promotion, and preservation of the social, cultural and political history and contributions of the Chinese in America. 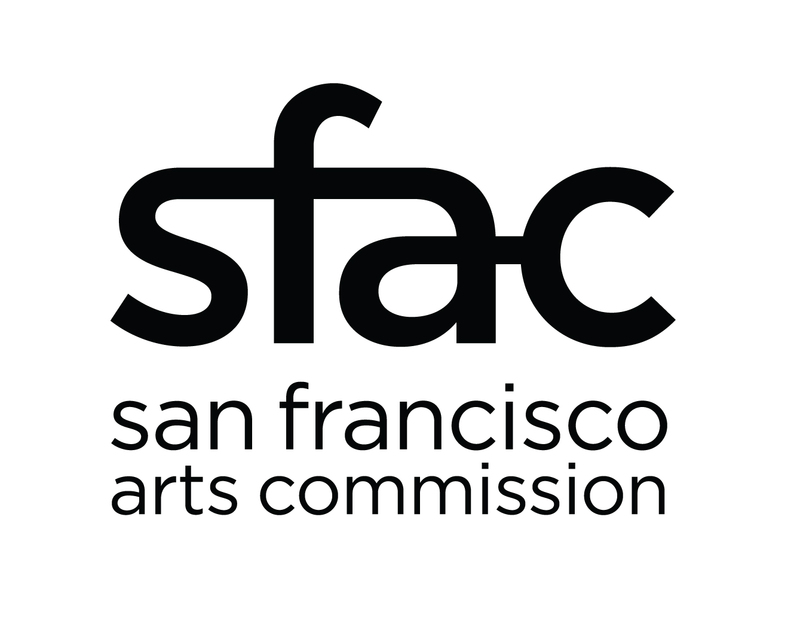 CHSA pursues this mission through exhibitions, publications, and educational and public programs in the CHSA Museum and Learning Center, a landmark Julia Morgan-designed building (formerly the Chinatown YWCA) located at 965 Clay Street, San Francisco. Rick Quan is a veteran television journalist with more than 30 years of broadcast experience in the San Francisco Bay area. His company, Rick Quan Productions has produced several award winning documentaries including “Dancing through Life: The Dorothy Toy Story” and “Race: The Al Young Story”.